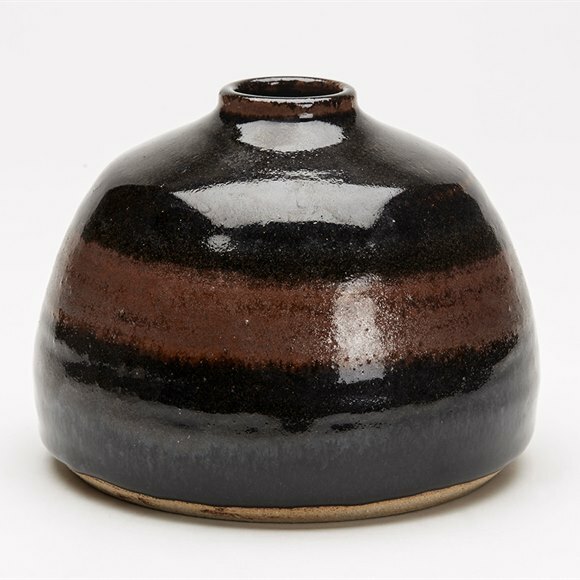 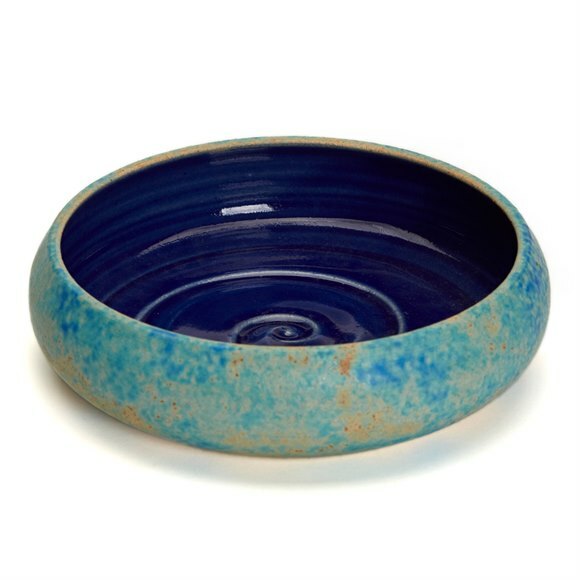 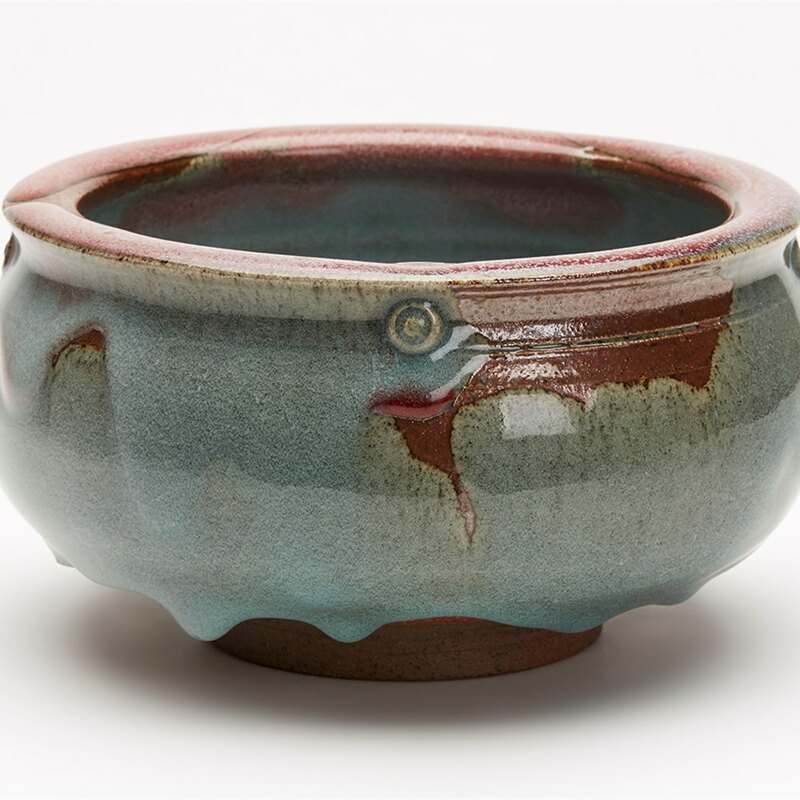 A stunning studio pottery stoneware bowl of squat rounded shape with small relief moulded stud designs around the underside of the rim. 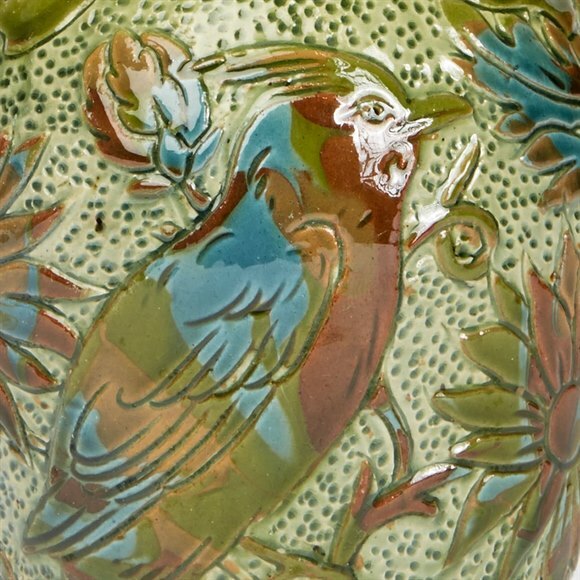 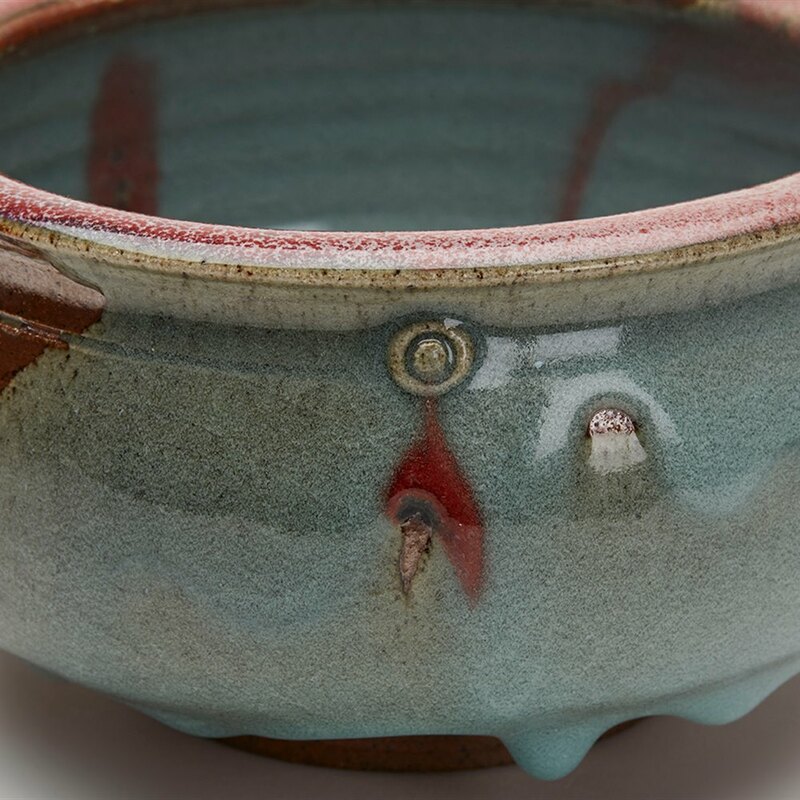 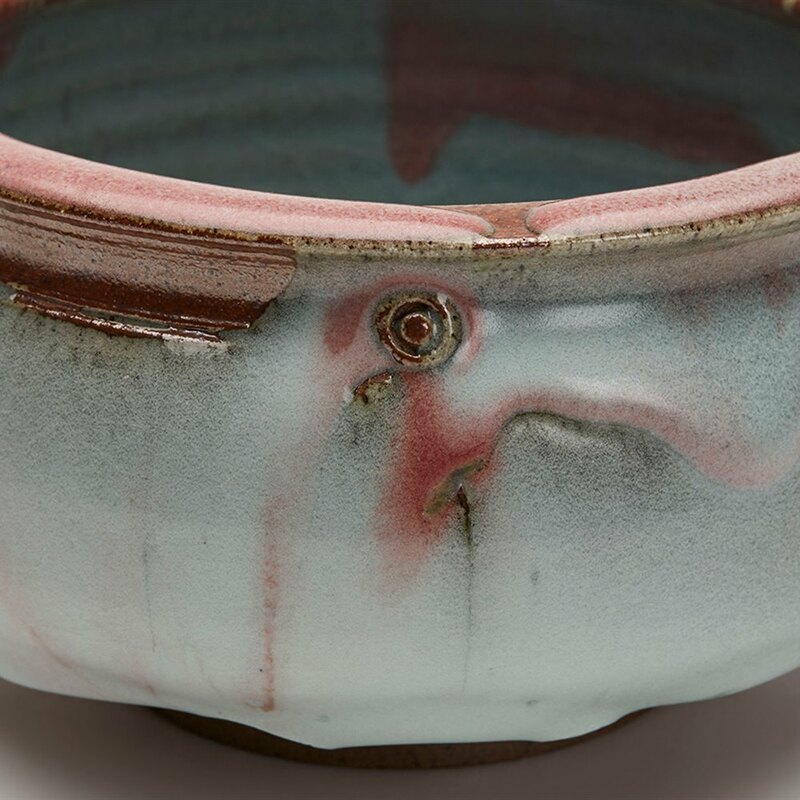 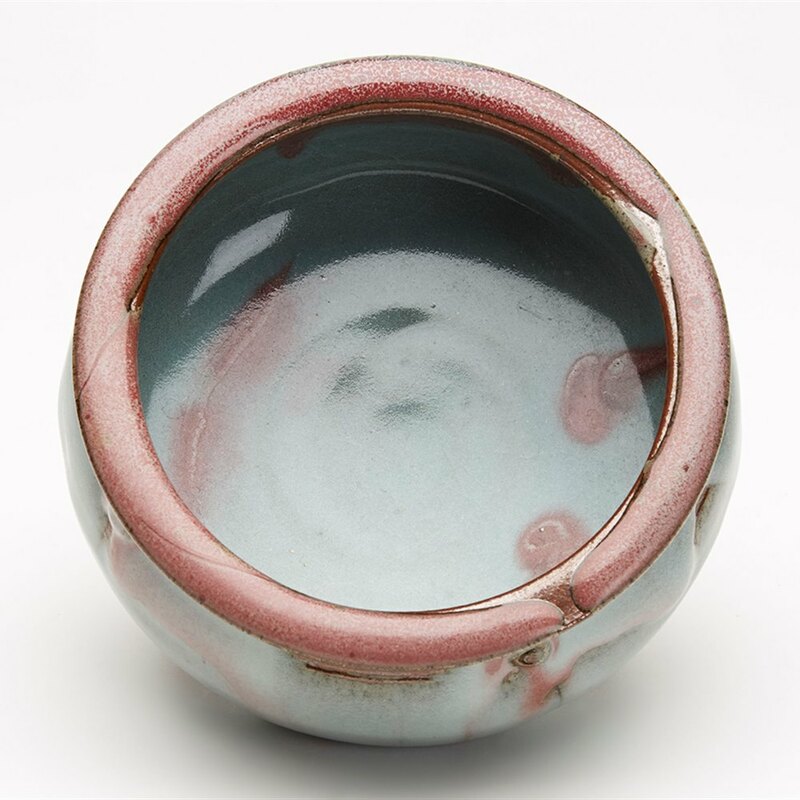 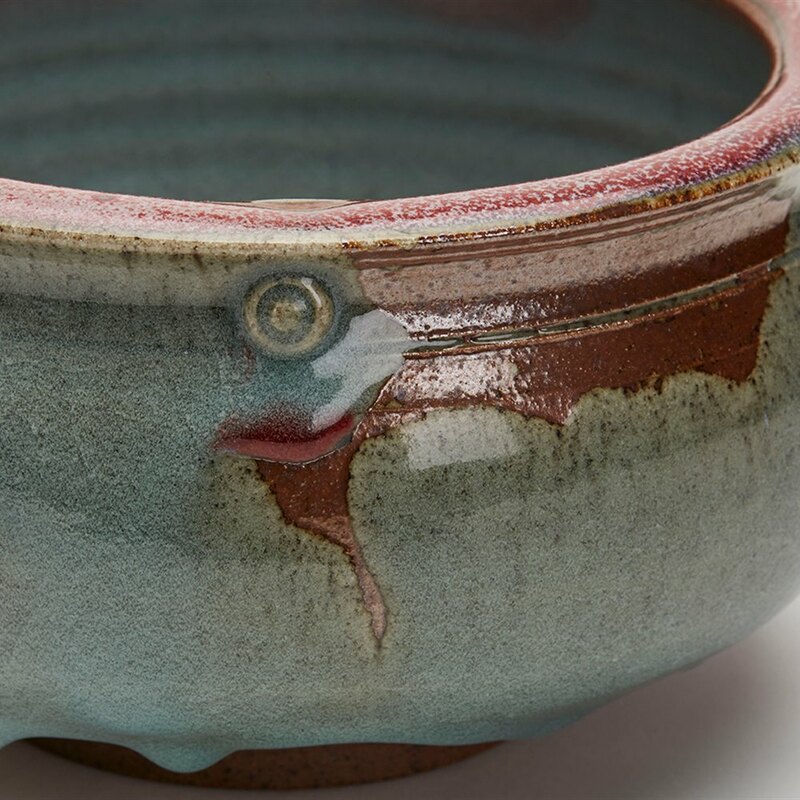 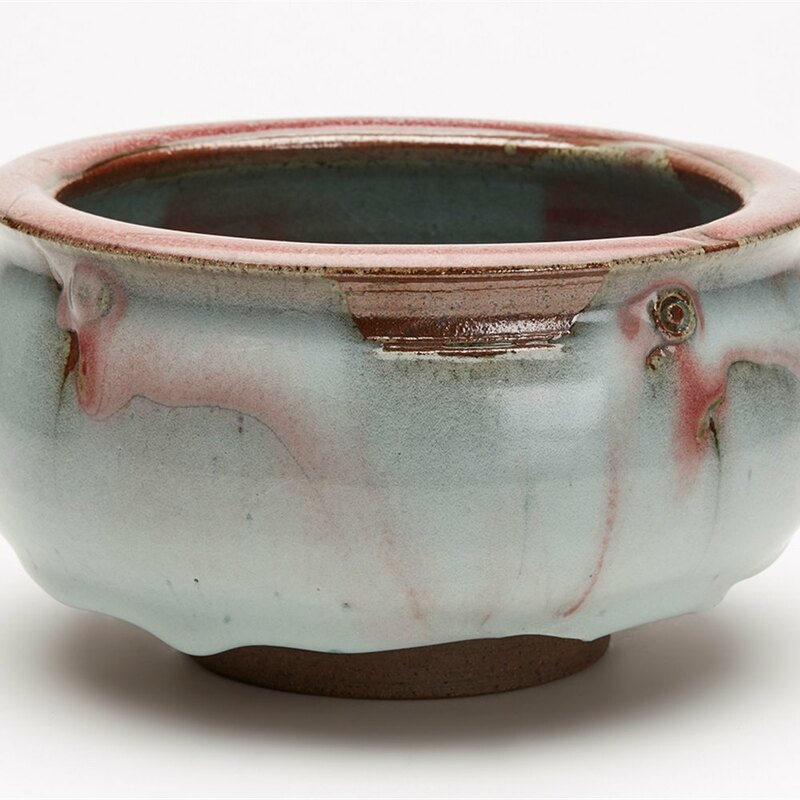 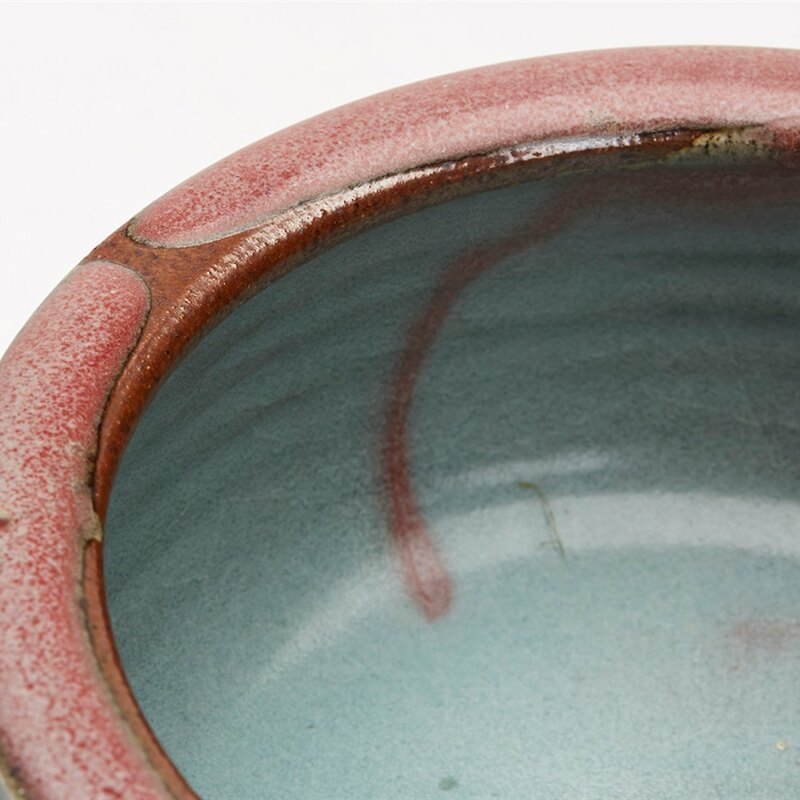 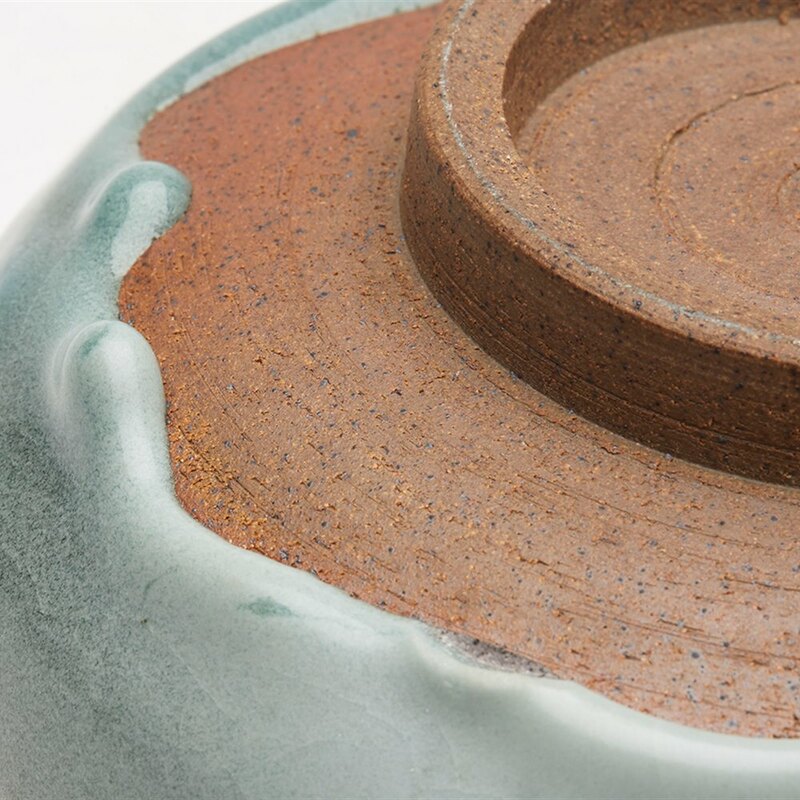 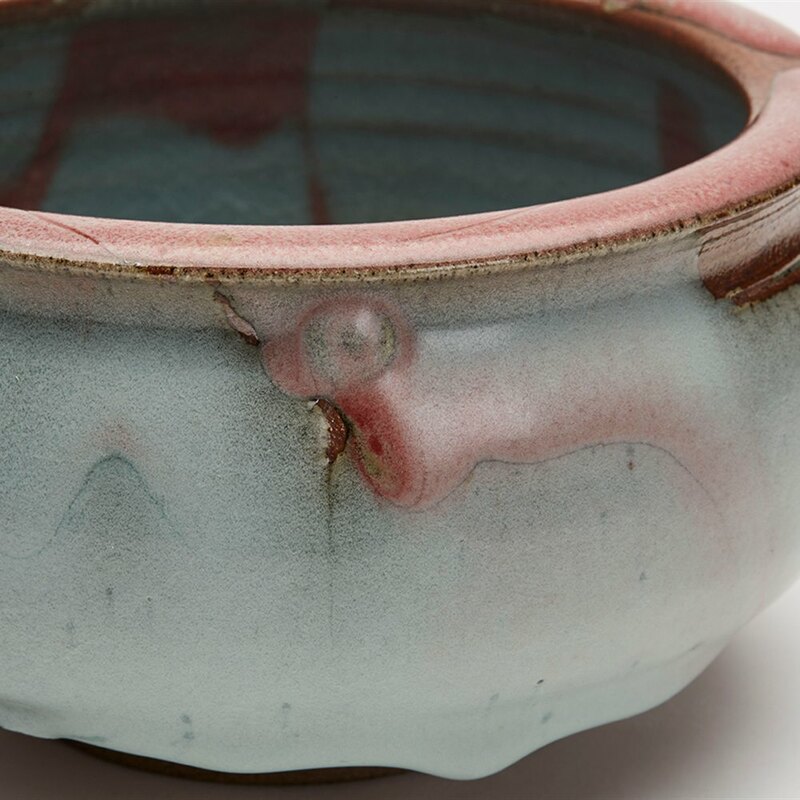 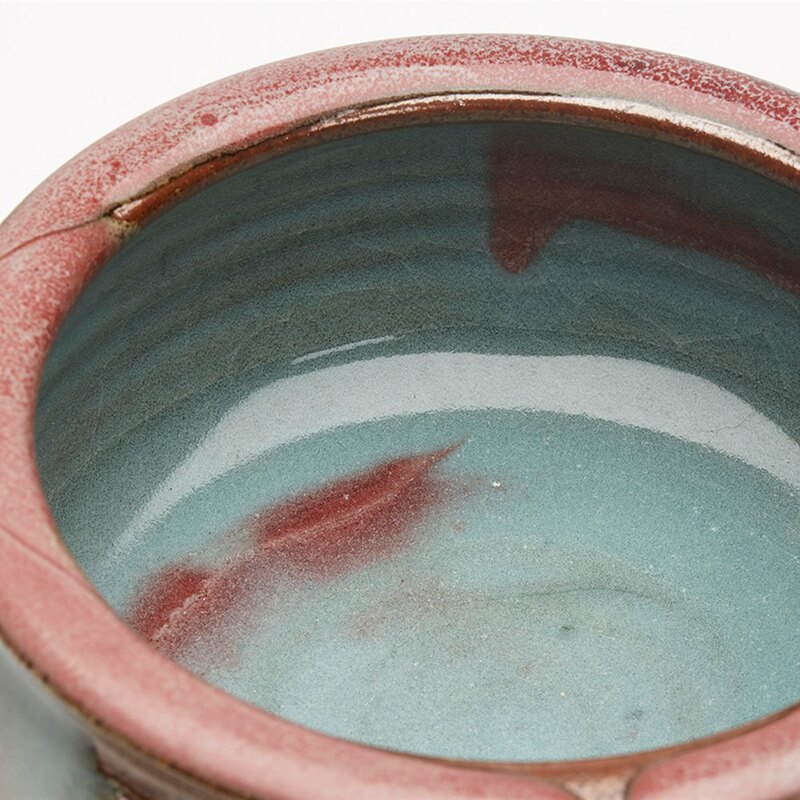 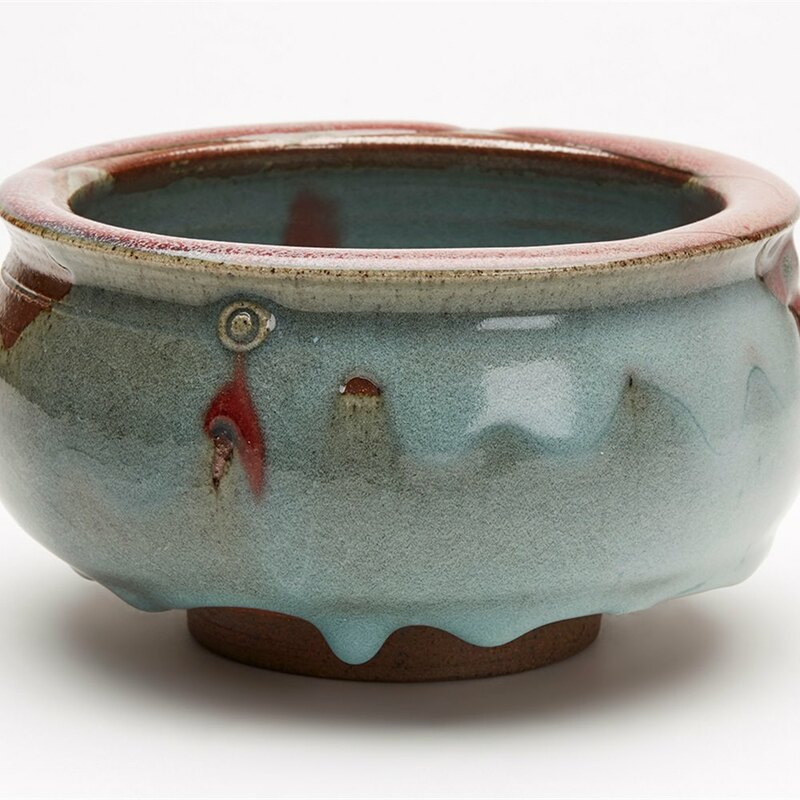 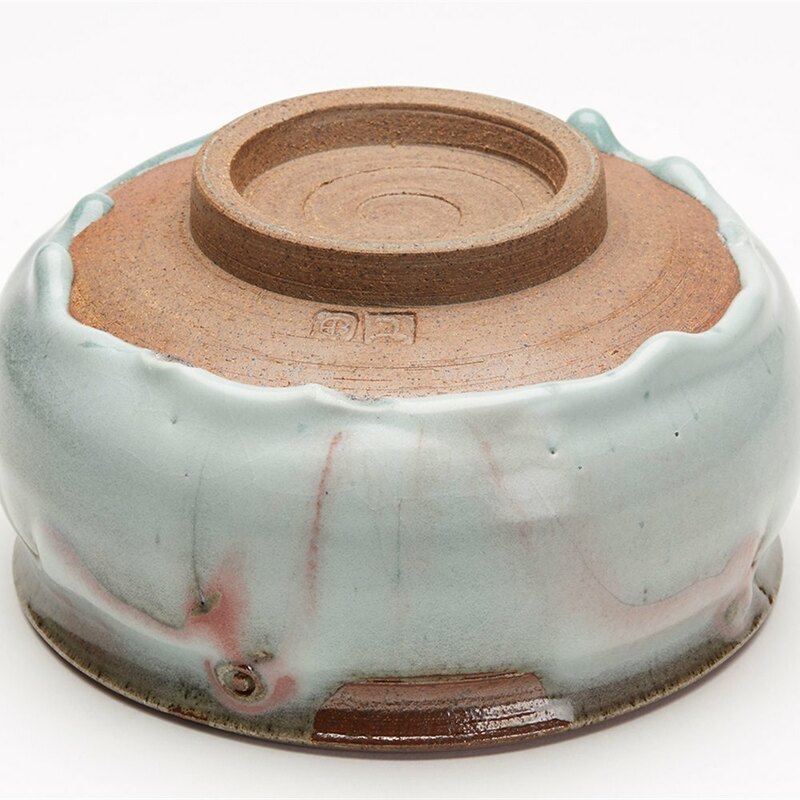 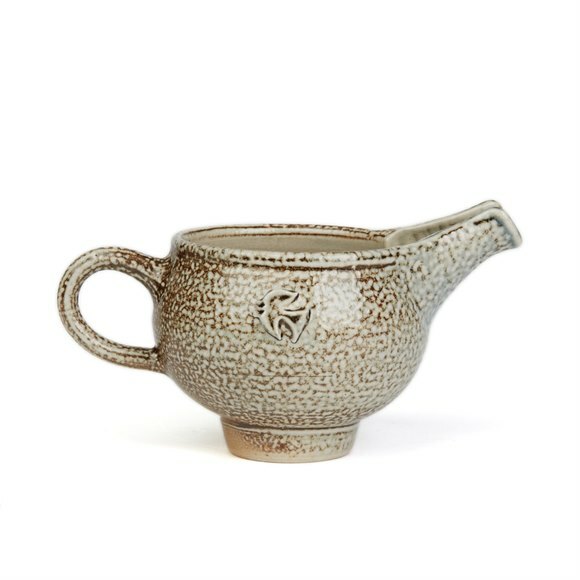 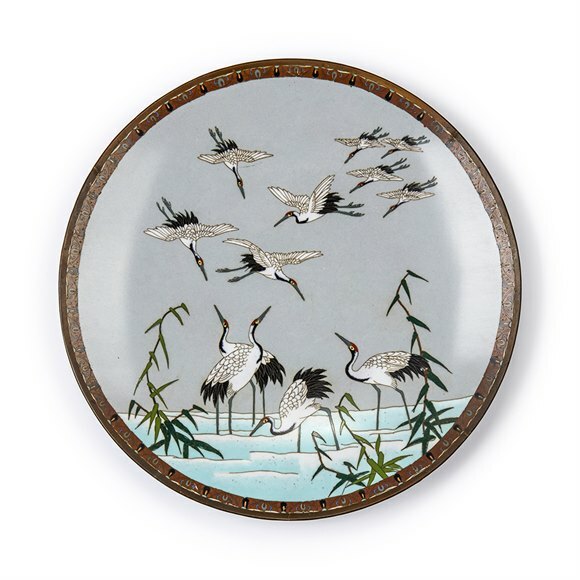 The bowl is decorated in thickly applied red and celadon sang de boeuf glazes with the glazes forming hanging drips around the unglazed lower body. 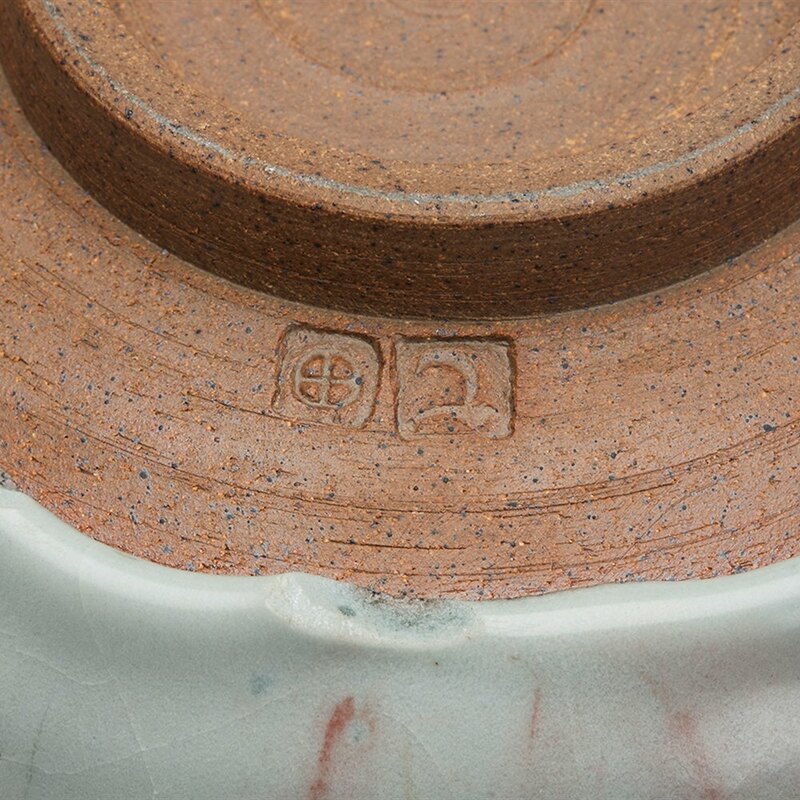 The bowl has an impressed stylised T monogram and wheel shaped pottery mark.